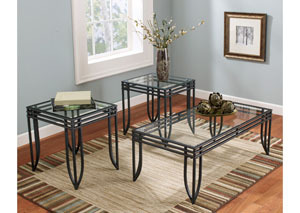 The sleek design of the "Exeter" accent table collection will deliver a sharp sense of style to any room in your home. The sharp corners and gentle curves of the tubular metal frame supporting a clear glass inset give this collection the look of an artistic sculpture. The welded tubular stacked apron frame has a textured finish which makes it pleasing to the touch as well as a feast for the eyes. 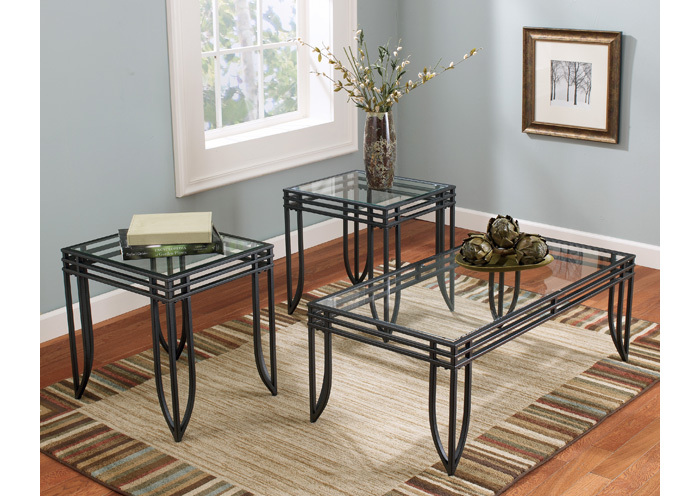 Enhance your living room's beauty with the rich contemporary design of the "Exeter" accent table collection.